Most vehicle mount computers sacrifice brains for brawn. Not the 8580 and 8590. 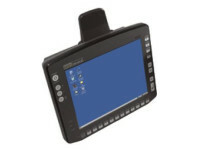 These rugged vehicle mount computers run on Windows® XP Professional or XP Embedded. They give you full PC power where you need it most: on the front line. Which means you deliver intelligence where it’s needed and capture data non-stop. All shift long. The 8580 and 8590 aren’t just powerful. They’re rugged. Both operate with the freezer option at temperatures between -30°C (-22°F) to +60°C (144°F). Both boast tough-as-nails IP ratings – they come in at IP66 – so you can forget about dust or moisture stopping the shift. And they both shrug off violent shock and vibration. So no more downtime. Or worker frustration. Just unchecked productivity. The 8580 and 8590 give you options. Lots of them. Both can be operated via the touch screen, keyboard, or mouse. And there are multiple key options (4 or 25) so you can customize according to your apps. Plus the ergonomic positioning of the keys is worker’s dream. It’s all part of our Natural Task Support™ philosophy – and it’s changing the way mobile workers do their jobs. 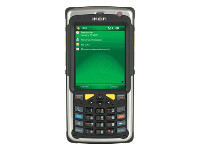 The 8580 and 8590 integrate effortlessly with WLAN and rugged mobile devices. So your workers get realtime access to warehouse management tools. Which means data capture is as fast as it gets. And if you want to hook up your peripherals, go for it. The 8580 and 8590 have two serial RS232, Ethernet and two USB host ports. 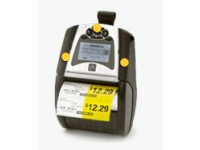 So it’s more than ready for your bar code scanners, printers and RFID readers. The display screens on the 8580 and the 8590 take you aback. The 8580 has a large 10.4” SVGA display which you can read in all lighting conditions. Including direct sunlight. The 8590 goes even bigger. It has a highres 12.1” (1024 x 768) screen. 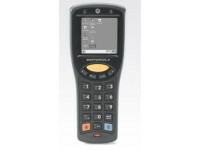 And it lets leading warehouse management apps run without adapting the user interface. 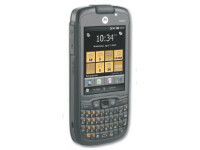 These are smart machines that are as tough as they have to be, but as userfriendly as they ought to be. • 2 x full function UART (DB9).